The History Of Our Righteousness In Christ: Having known that as Christians, we are the righteousness of God in Christ Jesus, there is a need to understand the history of our righteousness. It is true, we were redeemed from the power of darkness and translated into the kingdom of His dear Son. We can now come boldly to the Father without the feeling of shame and guilt. We should ask ourselves these questions: How did it all begin? What is our origin in Righteousness? How did our transformation take place? 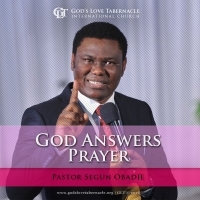 All the answers to these questions and more has been carefully supplied in this teaching by Pastor Segun Obadje. Click the Add to Cart Button to Join Pastor Segun Obadje (Ph.D) as they straighten out the Understanding Righteousness Series. 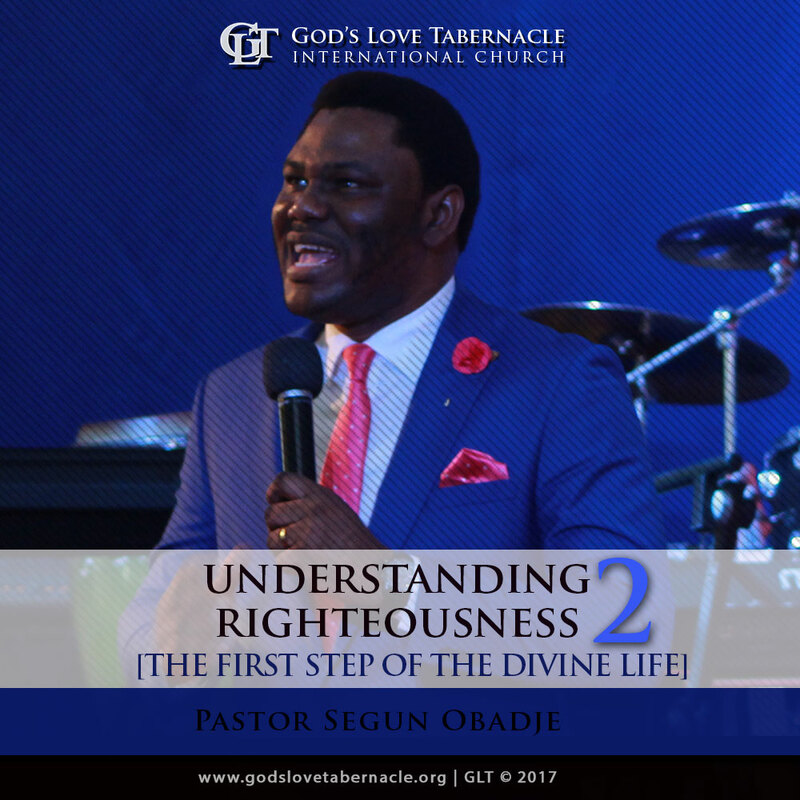 Understanding Righteousness Series by Pastor Segun & Obadje is a powerful, life-transforming classic series that is loaded with 8 Sermons! 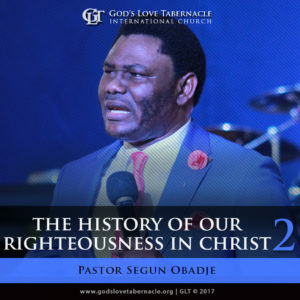 The History of our Righteousness in Christ 2: After the fall of man, he became a transgressor, he began to manifest the fruits of that sin nature that he had received, and he became a slave and a child of the devil. However, Jesus came as a qualified substitute to die in the stead of man. While our transgressions was imputed unto Him, His justice was imputed unto us. Therefore, there is no more condemnation for us in Christ Jesus, we are free from the ruler-ship of the devil. Now, we can come boldly to the throne of mercy to receive grace in times of need. Listen carefully to this teaching by Pastor Segun Obadje as he expatiates on the history of our righteousness in Christ. 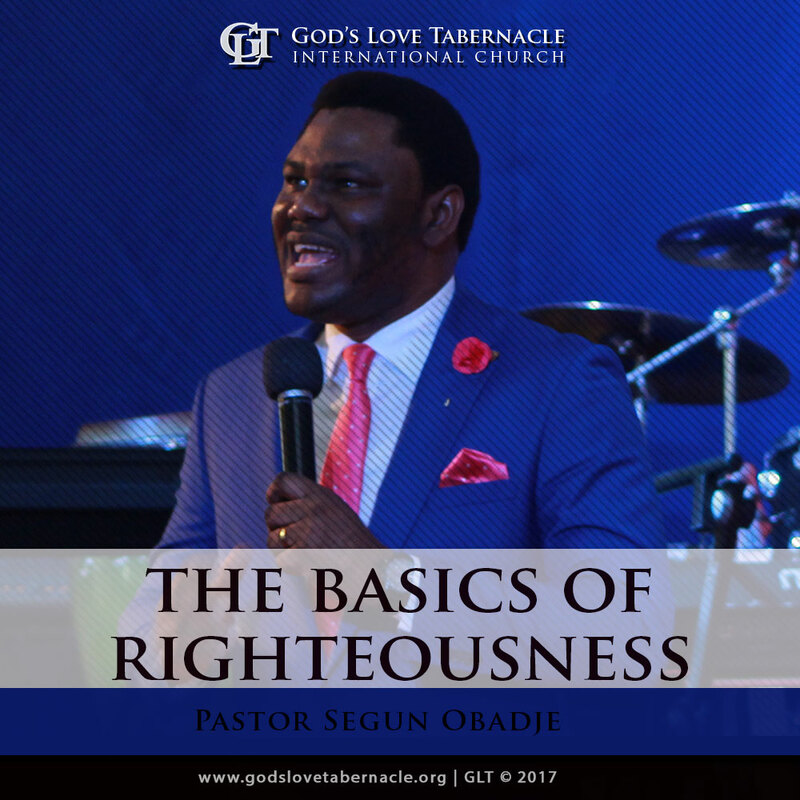 The Basics Of Righteousness: In this classical message, Pastor Segun Obadje teaches on the basics and practicality of righteousness. Beloved, do you know that righteousness is a gift from God? However to give expression to this gift of righteousness in us, we have to live with the understanding of the justification that we have received through righteousness. We have been made right before God not based on our own works, but through justification by grace. We have to Rise Up as believers and take our Rightful Place!!! Quit living in sin and begin to live righteously before God!!! Click the Add to Cart Button to get your copy of Understanding Righteousness Now! 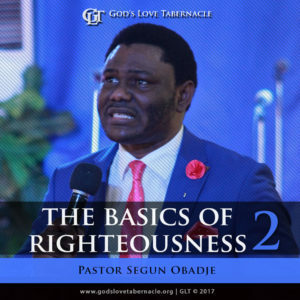 The Basics Of Righteousness II: In this classical message, Pastor Segun Obadje continues the teaching on the basics and practicality of righteousness. Beloved, having known that righteousness is a gift from God, we have to live with the understanding of the justification that we have received through righteousness. We are His workmanship created in Christ Jesus unto good works. We have to Rise up as believers and be rich unto good works, for that was the essence of our salvation in the first place. Quit living in sin and let people begin to see God in you through your good works. 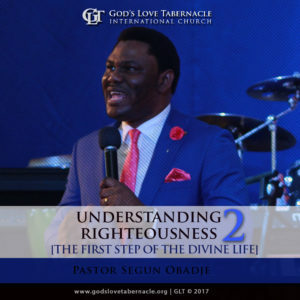 Click the Add to Cart Button to Join Pastor Segun Obadje (Ph.D) as he shed light on Understanding Righteousness Series. 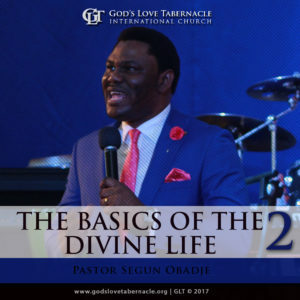 Understanding Righteousness II (The First Step Of The Divine Life): In this message, Pastor Segun Obadje gives an in depth teaching on the first step of the divine life in Christ Jesus. Beloved, Jesus did not only carry our sins, He became sin for us. He went to hell and broke the power of death, the wrath of God was exhausted on Him so that His love can be lavished on us. Now, we have forgiveness of sins through His blood; we have been quickened and made alive with Him. We are now the righteousness of God and have a right standing with Him. Take advantage of this and begin to walk in the reality of the new life you have in Christ Jesus. Righteousness, Father’s Treasure: To all active and potential fathers, Happy Father’s day. 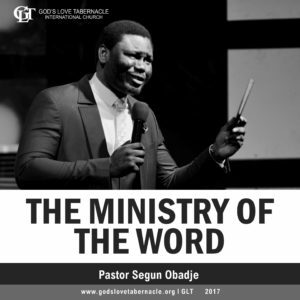 In this message, Pastor Segun Obadje brings to us the divine order of fatherhood, teaching us the biblical principles guiding fatherhood. Beloved, Who is a father? What are the distinguishing features of a father? What is the greatest treasure of a father? It takes more than being a man to be a Father, It takes training and grooming to be a Father. Do you desire to redefine fatherhood? Do you want to raise your children the Godly way as a biological father and make a difference in their lives? Then this message is for you. Rise up today, engage this principles and be a father indeed. 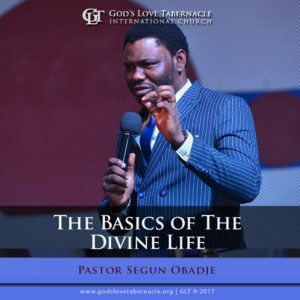 The Basics Of The Divine Life: “The Basics of the Divine Life”, a teaching by Pastor Segun Obadje, provides every believer with the principles of the doctrine of Christ which brings them unto perfection. Beloved, when Jesus died, the old man in you died and the new man came alive. Hence, you should not live nor feed on things that motivate you to sin anymore. Rather, you should set your affection on the things of God. 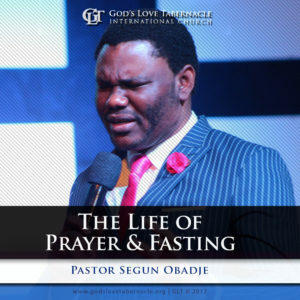 Do you want to get into the deep things of God and enjoy the divine life? 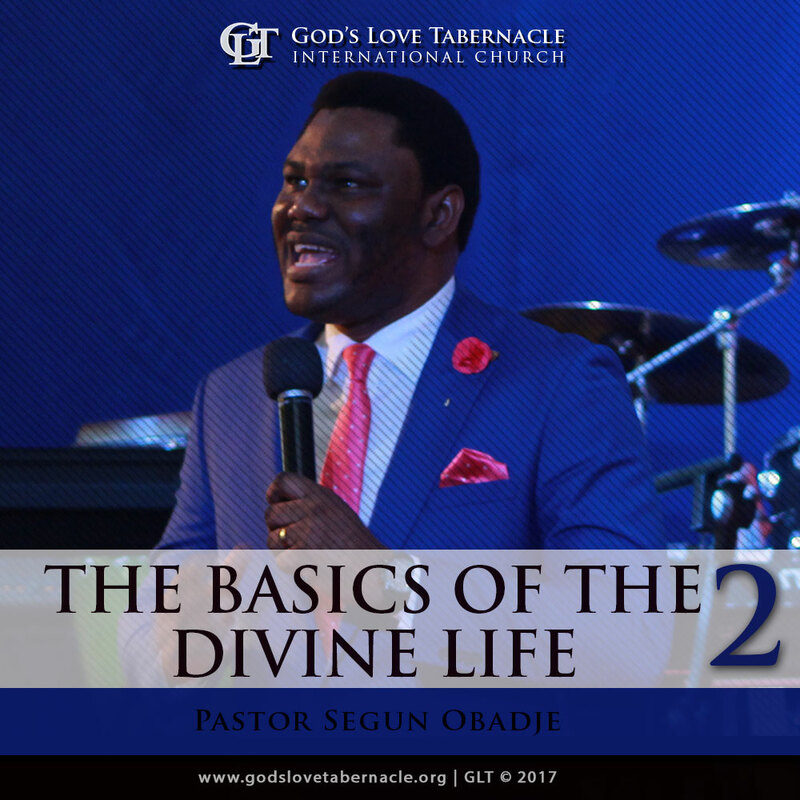 Then, get these principles to work in your life. You are the righteousness of God in Christ Jesus. 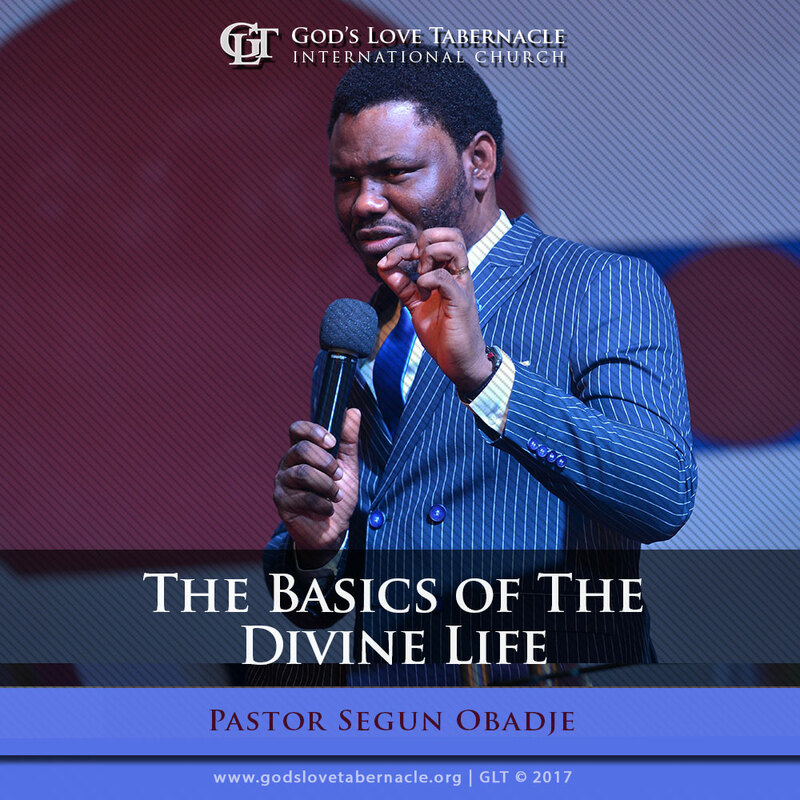 The Basics Of The Divine Life II: As believers, it is of utmost importance to gain mastery of the principles of the doctrine of Christ because these doctrines brings us unto perfection in Christ Jesus. 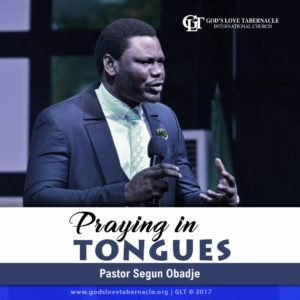 In this message, Pastor Segun Obadje disentangle the doctrine of faith toward God and the doctrine of baptisms. Find out from this teaching what it really means to have faith toward God and what baptisms signify in the life of the believer.